"It Kills You & Those around You "
The risk of dying from Lung Cancer is more than 22 times higher among men and about 12 times higher among women who smoke compared to non- smokers. Other cancers which are common in smokers are : cancers of the lip, oral(mouth) cavity, pharynx, esophagus, pancreas, larynx (voice box), uterus, cervix, urinary bladder and kidney. Smokers are 2-4 times more likely to develop Coronary Heart Disease and Brain Stroke (Paralysis/CVA). Smoking causes narrowing of the blood vessels (Peripheral Artery Disease). Bronchitis & Emphysema (COPD): 10 times increased risk of dying from COPD. 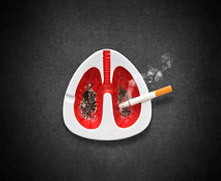 About 90% of all deaths from COPD are attributable to smoking. an increased risk for infertility, preterm delivery, stillbirth, low birth weight, and sudden infant death syndrome (SIDS). Low sperm count & Erectile dysfunction. Postmenopausal women who smoke have lower bone mineral density (BMD) and increased risk for hip/spine fracture. Nicotine, the drug in tobacco, is one of the most addictive substances known. Besides the psychological addiction, many smokers also become physical addiction. Kicking the Habit is hard - but worth the work. There are many methods you can try to help you quit and stay away from smoking for good. After quitting smoking one may have withdrawal symptoms like - being irritable, sweating, headache, loose motions or even constipation, restlessness, tiredness or dizziness. Withdrawal symptoms are usually the worst on first 2-3 days after quitting, and then gradually lessen with time. So don’t panic; have some patience and tolerance for success. Once you quit smoking, your first experience is the bad feeling of withdrawal, but later you begin to enjoy the benefits of quitting esp. having more energy & strength. 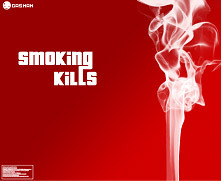 ONE THING IS FOR SURE – SMOKING HURTS YOU & KILLS YOU SLOWLY ! … It will help Your Health ! Tobacco has serious health effects in patients with diabetes esp. increased risk of premature death from Heart Attack, higher risk of developing kidney disease, neuropathy and retinopathy. Smoking is also a risk factor for development of type 2 diabetes. "Cigarette smoking is the leading avoidable cause of mortality and is the most important modifiable cause of premature death. Cigarettes provide the delivery system for nicotine, an addictive substance related to various pharmacological, biochemical, and psychological processes that interact to support a compulsive pattern of drug use." Several studies of individuals with diabetes consistently found a heightened risk of morbidity and premature death associated with the development of macrovascular complications among smokers. Smoking is also related to the premature development of micro-vascular complications of diabetes and may have a role in the development of type 2 diabetes. In the light of the growing evidence demonstrating that smoking is an independent risk factor for diabetes and that it is also an aggravating factor for diabetes complications, smoking cessation advice should be a routine component of diabetic care. Concerns about weight gain should be addressed by health care providers whilst emphasizing the fact that the health benefits of smoking cessation far outweigh post cessation weight gain, even in people who are focused on weight management. Tobacco has many bad health effects, particularly for people with diabetes. No matter how long you've smoked, your health will improve after you quit. The health benefits of tobacco cessation begin within 3-6 months and extend from reduced atherosclerotic disease and lower cancer rates to improved lung function. Smoking and diabetes are synergistic risk factors for atherosclerotic disease. 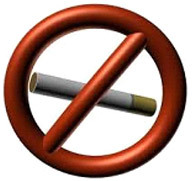 All possible measures should be used to prevent and encourage discontinuation of tobacco use.